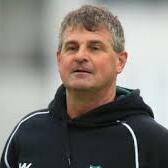 Audioboom / "We paid for getting the toss wrong" Worcestershire director of cricket Steve Rhodes admits, after seeing his side lose by an innings and seven runs, and several of the batsmen getting hit on the last day of the game against Sussex at Hove. "We paid for getting the toss wrong" Worcestershire director of cricket Steve Rhodes admits, after seeing his side lose by an innings and seven runs, and several of the batsmen getting hit on the last day of the game against Sussex at Hove. "Thats one of the best spells I have kept to" Worcestershire wicket-keeper Ben Cox top scores with 93 and then sees Josh Tongue take 5 wickets in 19 balls as Glamorgan end on 76 for 6 in reply to Worcestershire's 267 all out.